The Veterans Affairs Department is the least popular federal agency in the country among more than a dozen included in a new survey, while the U.S. Postal Service earned the most positive reviews. The Secret Service saw the biggest gains in popularity since the last Gallup poll rating agencies in 2014, with its scores increasing by 20 percentage points to 63 percent. The FBI was the lone agency of the 13 surveyed to not make any gains since 2014, once again receiving a 58 percent approval rating. The law enforcement agency, which has often found itself under fire from President Trump, saw its approval among Republicans drop by 13 points to 49 percent. The FBI was the only agency to see its scores decrease among Republicans. Among Democrats, meanwhile, 69 percent of respondents said the FBI was doing an “excellent” or “good job,” up from 60 percent in 2014. 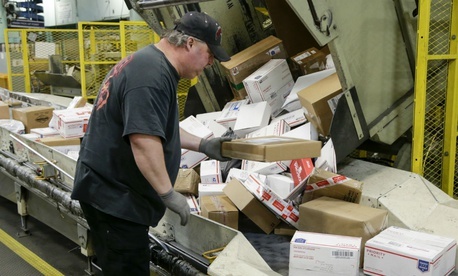 Democrats gave worse reviews this year to the Internal Revenue Service, the Environmental Protection Agency, the Homeland Security Department, the Federal Emergency Management Agency and USPS. 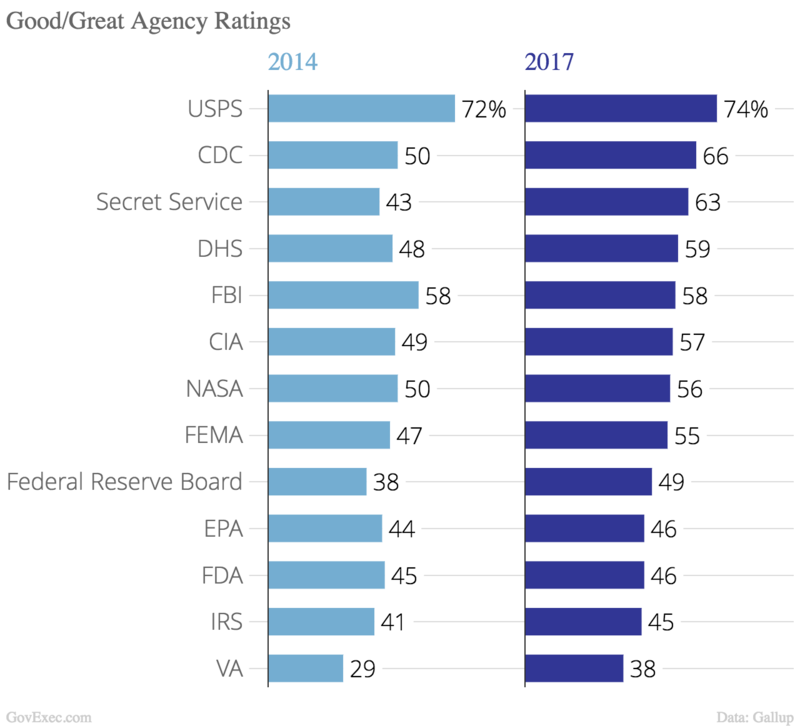 After USPS, which 74 percent of Americans graded as doing an excellent or good job, the next most popular agencies were the Centers for Disease Control and Prevention, the Secret Service and DHS. The FBI still came in fifth, despite the declining views among Republicans. VA was the last ranked agency for the second consecutive Gallup poll, despite its positive approval increasing by nine points. The IRS and EPA rounded out Gallup’s worst reviewed agencies. The pollsters attributed the general increase in scores across government to its more positive image among Republicans. Democrats also largely gave better scores, which Gallup said could be attributable to members of the party feeling bad for the federal employees working under Trump. Gallup conducted the survey from Dec. 18-19, 2017 with a random sample of 1,011 U.S. adults. The poll had a margin of error of plus or minus 4 percent.